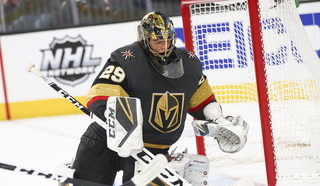 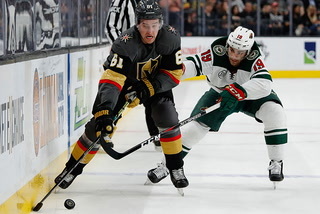 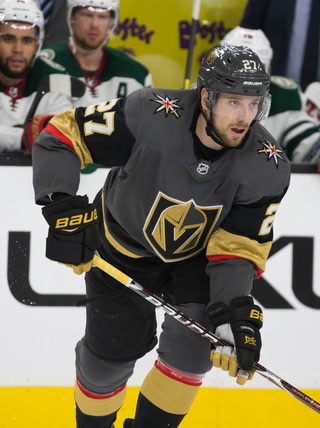 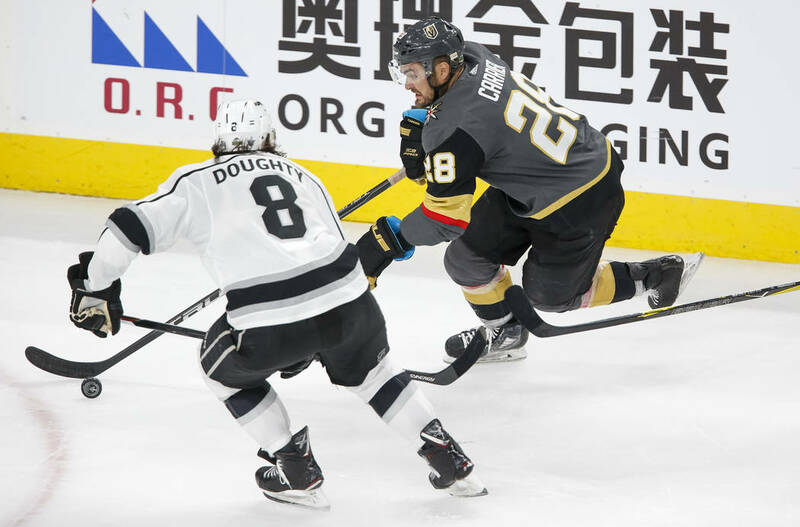 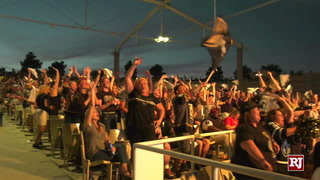 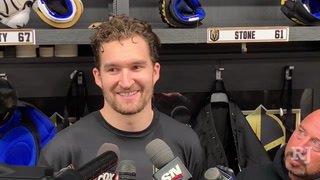 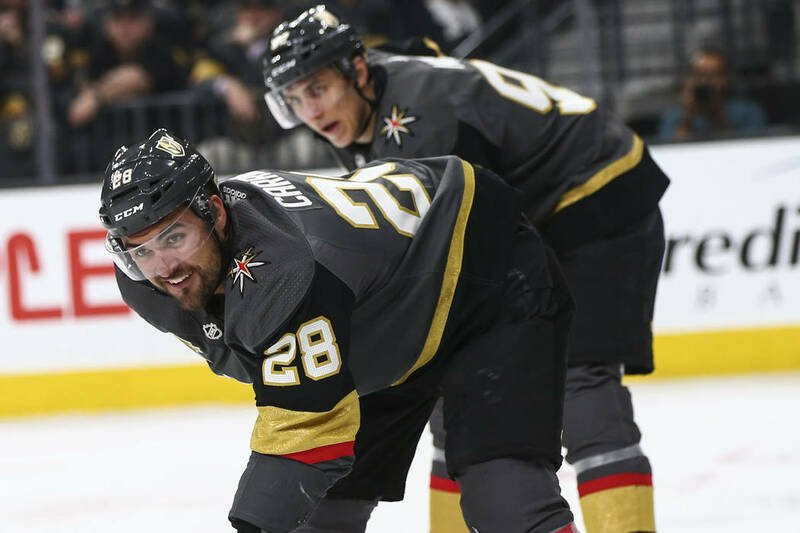 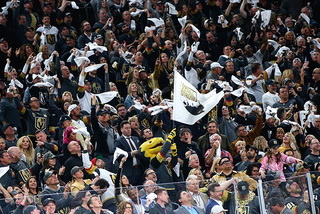 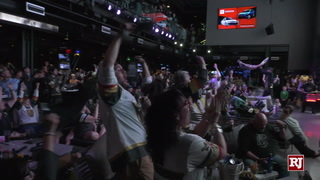 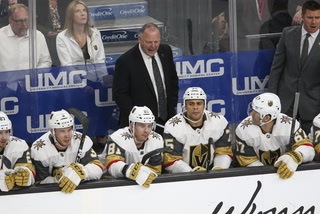 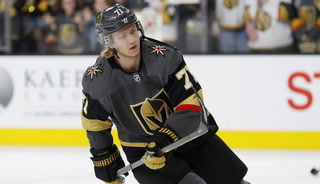 Golden Knights’ forward William Carrier was back in the lineup for Game 2 Friday against the Los Angeles Kings while Drew Doughty serves a one-game suspension for his hit on Carrier in Game 1. 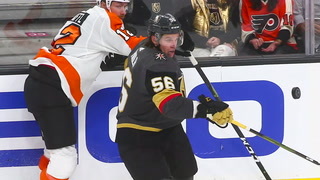 Will Carrier didn’t think the hit to the head he received from Drew Doughty on Wednesday was dirty. 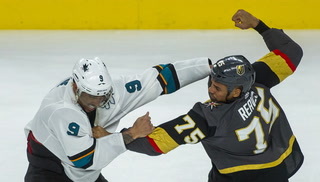 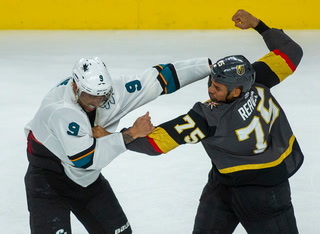 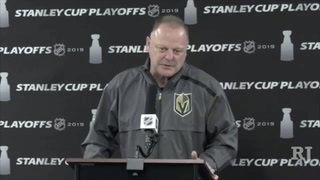 But the Golden Knights’ forward didn’t have a problem with the NHL’s Department of Player Safety suspending the Los Angeles Kings’ defenseman for Game 2 Friday in the Western Conference quarterfinal series. 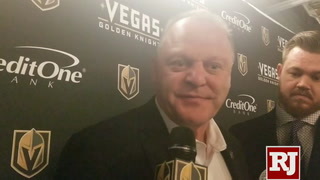 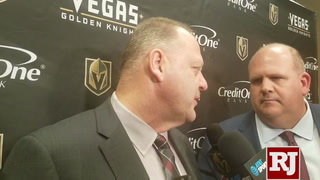 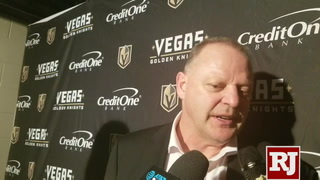 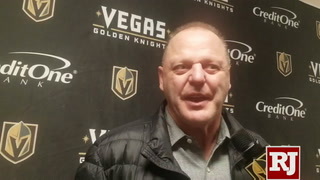 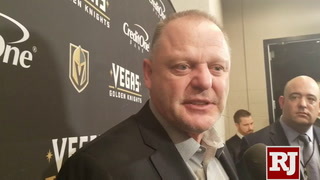 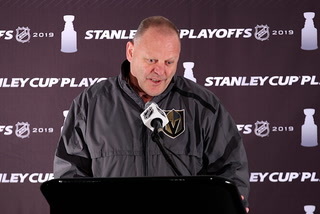 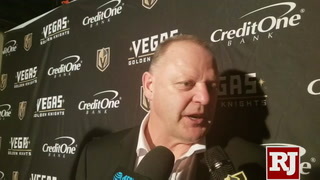 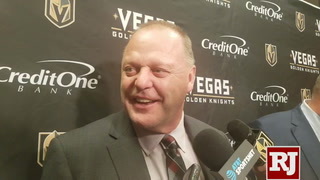 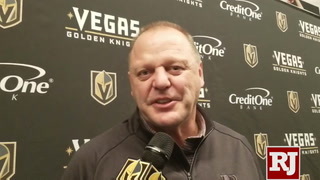 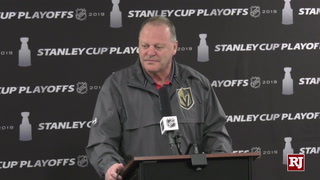 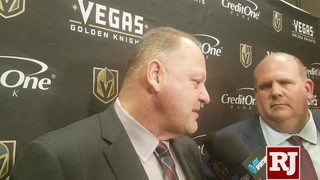 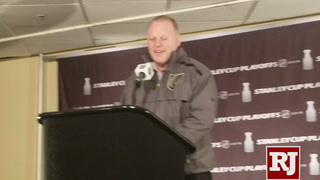 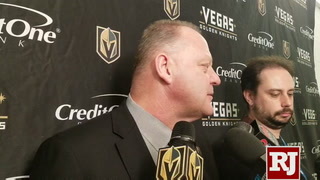 Knights coach Gerard Gallant said he thought Doughty’s suspension was appropriate. 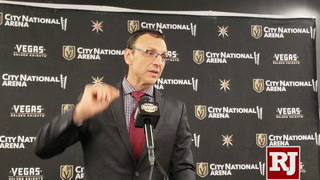 He’s right. 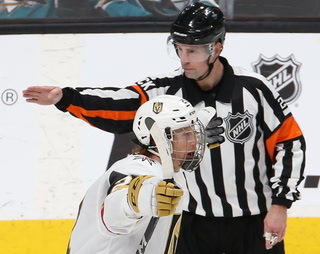 The Kings didn’t think it was justified, Doughty in particular. 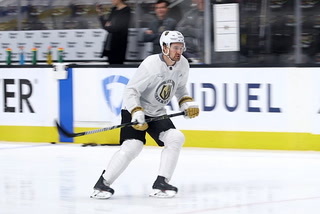 “I don’t think for one second that was suspension-worthy … I think it’s B.S.,” he said Friday at T-Mobile Arena after the Kings’ morning skate. 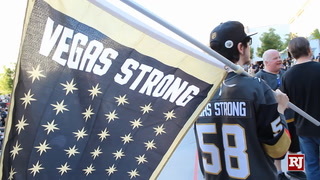 Carrier was likely to be in the lineup, but forward David Perron was ruled out for Game 2. 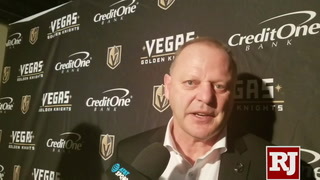 “He’s been skating, he’s getting closer but he hasn’t been cleared,” Gallant said of Perron, who has had an upper-body injury and last played March 26. 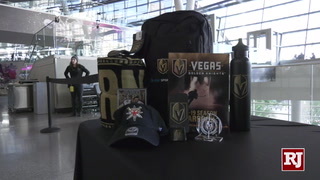 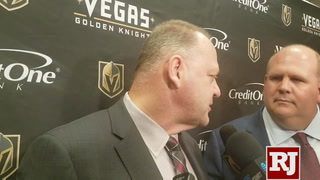 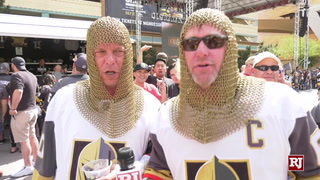 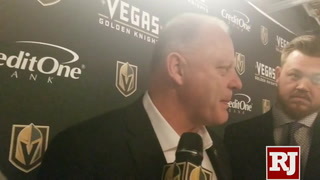 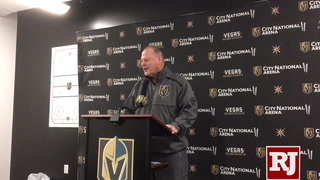 It was one year ago Friday the Golden Knights hired Gallant to be their coach. 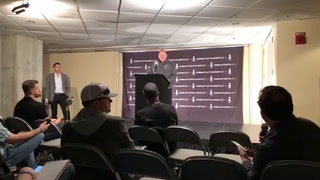 He had no players, no staff and no idea what to expect. 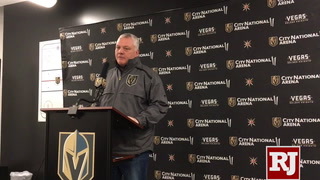 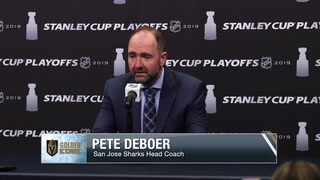 A year later, he coaches a team which has set several records for an expansion team, has already won a game in the playoffs and he is the odds-on choice to be the winner of the Jack Adams Award as the NHL’s coach of the year. 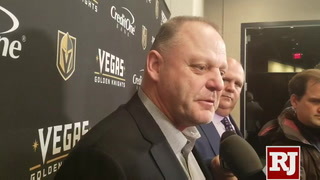 Center Pierre-Edouard Bellemare said he has loved playing for Gallant. 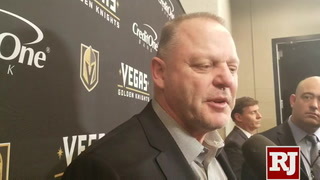 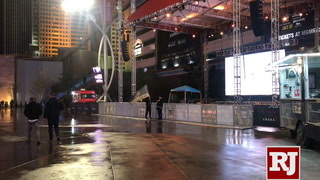 “Look where we are right now,” Bellemare said. 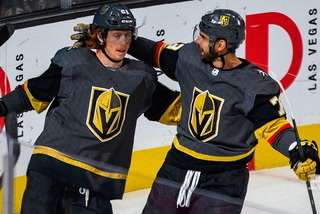 “He’s made it fun for everybody. 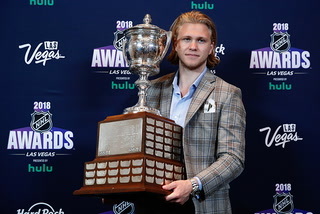 He’s been fair. 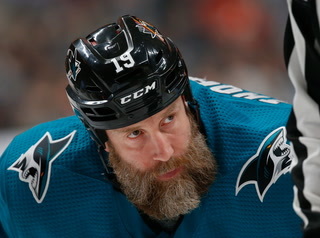 He doesn’t let you drift too far from your game. 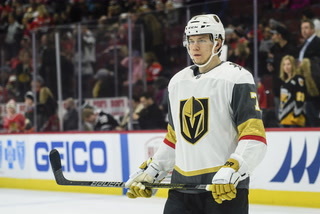 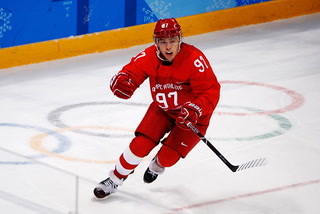 Forward Jonathan Marchessault became a father for the third time after his wife Alexandra gave birth Thursday afternoon to a baby boy, William Henry, in Las Vegas. 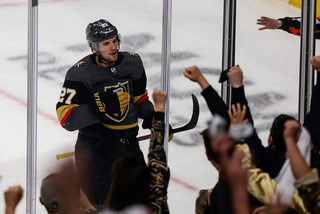 Congratulations to Jonathan and Alexandra Marchessault on the birth of their son William Henry! 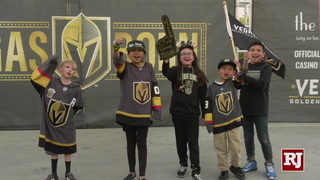 The Marchessaults have two older children, James, 4, and Victoria, 3. 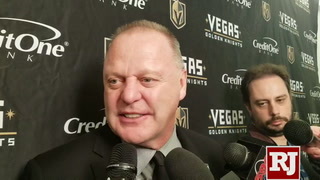 According to the team, both mother and baby, who was 8.3 pounds and 19.5 inches, were doing well.